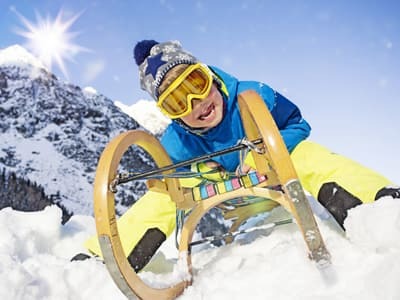 Looking for the best ski resorts for children in Austria, Switzerland, France or Italy? The European Alps offer you a wide range of family ski resorts. We provide you with an overview of the best ones. The ski resort Schmitten-Zell am See is located at Austria’s panoramic mountain Schmitten. It is one of the most family-friendly alpine ski resorts. A total of 77 km of slope provide ski pistes for beginners and for advanced skiers. Breathtaking landscapes with views across 30 three thousand-meter-high mountains surround the ski resort. Many cozy mountain chalets and restaurants invite you to leave the daily routine behind. Family ski time is also relaxing time: Tauern SPA in Zell am See–Kaprun invites you with a 20.000m² SPA-world. Lean back and enjoy yourselves! The SkiWelt Wilder Kaiser-Brixental with e.g. the villages Söll and Brixen im Thale is the biggest family ski resort in Austria: More than 275 km of slopes made for your family ski holiday. Snow is guaranteed! Fun parks, adventurous slopes and the biggest night skiing area fulfill all wishes. 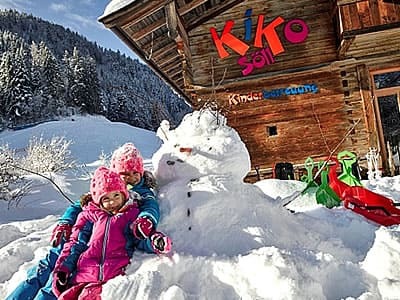 At Söll, skiing with kids becomes easier than ever: The Childrens’ Playland Kornkammer (Kiko) offers childcare for kids starting at the age of 1. Additionally, there is a children’s adventure world for bigger ski-pros and ski courses for every skill-level at the ski school at Söll. Use the keat-lift with heated seats and all-weather protection at the middle station and the valley station. Experience the charm of the Tyrolean Alps in your family ski holiday at Söll. Experience the amazing nature of Wildschönau and the Kitzbüheler Alps. The family ski resort links the Alpbachtal area with Wildschönau to 109 km of slopes. Enjoy Kaiserschmarrn, many Tyrolean specialties and sunny views on 25 chalets in the ski resort. Or stroll the idyllic villages Alpbach and Wildschönau-Niederau. Rent your skiing equipment at Sport Blachfelder or Sport Conny’s in Alpbach and Sport Conny’s at the Alpbach valley station Pöglbahn. Profit from special offers for your kids, like a free helmet and sale of ski school tickets directly at the shop. The Wildschönau card: Several activities and extras are included. The card enables you to use the ski busses between Niederau and Auffach. Also included are snowshoe hiking tours, shoe rental and the entry fee for the mountain farm museum z’Bach. 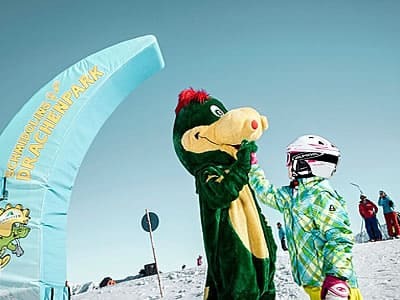 Additionally, there are free ski passes for children of all ages in April during the Easter holidays in the family ski resort Alpbachtal-Wildschönau. Many idyllic chalets and the super modern Design-Hotel rocksresort bring your family ski holiday to the next level. LAAX offers a wide range of outdoor activities like snowshoe courses, ice skating rinks, curling, or hiking. Make the most of your family ski holiday with the special offers of Sport Beat Flims: Skiing and snowboarding equipment right at the center of Flims. The ski hire offers not only the necessary skis, it also offers your perfect fitted outfit. Kids up to 10 years rent their ski for free per 2 booked adults. The helmet is also included. Located in the Aosta valley, Breuil Cervinia is one of Italy’s most traditional and biggest ski resorts. The family ski resort stretches out to the Matterhorn Mountain in Zermatt, Switzerland. 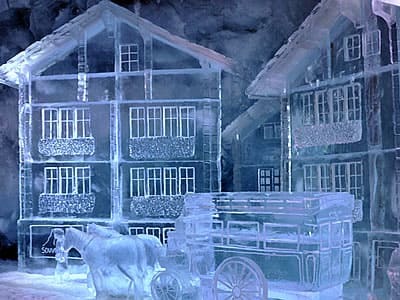 Since the 1930 onward, Breuil Cervinia has become the ice queen of Italy. 350 km of slopes make it hard to get bored. 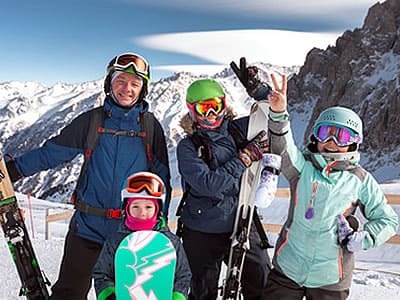 Cervinia 2001 makes your family ski holidays easy: Hire your skis for the whole family and profit from free helmets for kids and free skis per 2 booked adults. The Glacier Palace is the highest ice grotto of Europe at the Klein Matterhorn. Amazing light effects can be seen in the 15 meters long underground grotto. Dive deep into the world of ice! The ski resort Les Gets is part of the extraordinary family ski resort Portes du Soleil which includes also the ski resort Morzine. Les Gets and its 120 km of slopes are constantly changing: New modern lifts, cross-video stations and a parallel slalom at Mont Chéry guarantee fun at its best. Ideal for skiing with children is the Chavannes-part of the ski resort. For families, the ski resort is a paradise on earth: All ages and levels of experience find their place to be. Child-friendly ski areas, traditional French markets, exciting activities like chocolate workshops and cozy accommodations complete your perfect family ski holiday. Rent your skis online, for example at the ski hire Contat Sports and profit of their offers for children. 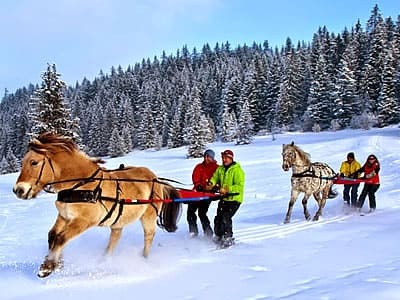 The Ranch at Portes du Soleil offers ski tours with horses. Discover the French Alps with keen ponies, whether at horseback tours, sleigh tours or pulled by the horses. Morzine is the main city in the French area of Portes du Soleil. Stores, bars, restaurants and several hotels create the center of the family ski resort. Morzine also holds a lot of activities apart from skiing in store. Get 10% discount on all lift passes in Morzine-Les Gets and Portes du Soleil. Additionally, in April and December families get one free pass for children under the age of 12. At Mathias Sports in Morzine and Mathias Sports Hotel le Crêt, kids rent their equipment for free if two adults book theirs. The obligatory helmet is also included. They also have a depot for skis. Hire or buy skis – what’s best?